Kumeu is a small town 25 km north-west of the Auckland City centre in New Zealand. State Highway 16 and the North Auckland Line pass through the town. Huapai lies to the west, Riverhead to the north, Whenuapai to the east, West Harbour to the south-east, and Taupaki to the south. Areas surrounding the Kumeu district produce labels such as Kumeu River, Cooper's Creek and Matua Valley, and Nobilo's have gained a good reputation for their Chardonnay and Sauvignon Blanc wines. The wine growing district is the main industry in both Kumeu itself and the smaller nearby settlements of Huapai and Waimauku. 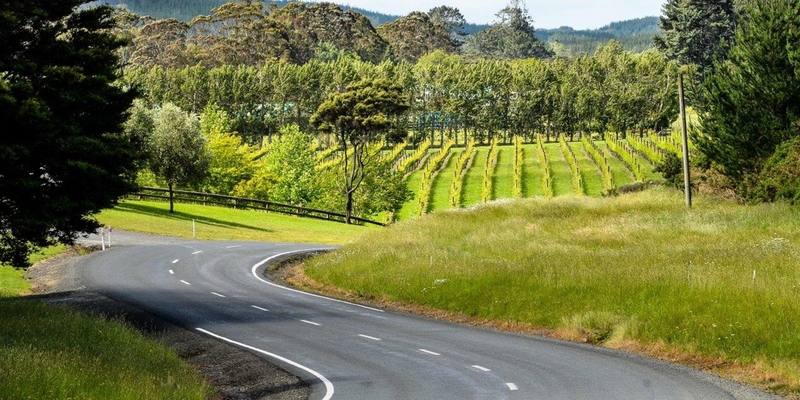 Kumeu River Wines, established in 1944. Coopers Creek, established in 1980. Landmark Estate, founded in 1937. Nobilos was established in 1943 by Nikola Nobilo and remained family owned until the late 1990s. Now known as Nobilo Wine Group, the company is New Zealand's second largest wine company. The area is popular for lifestyle block farming and equestrian pursuits. The Kumeu Agricultural and Horticultural Society hosts one of the largest annual shows in the Southern Hemisphere on 34 hectares (84 acres) of land owned by the Kumeu District Agricultural and Horticultural Society, on the second weekend in March every year. The nearby localities of Woodhill forest and Muriwai Beach mean it has strong recreational interests.